Jonas Alvarez combines Latin sounds and rhythms from around the world with passionate vocals and inspiring lyrics, to create a fusion of musical ideas he calls Latin American Roots music. 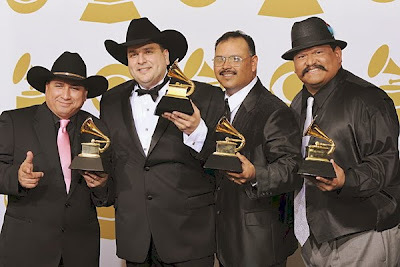 His original songs earned first place in the 2005 and 2006 Austin Songwriters Contest and he was a semi-finalist in the 2006 International Songwriters Competition in Nashville. 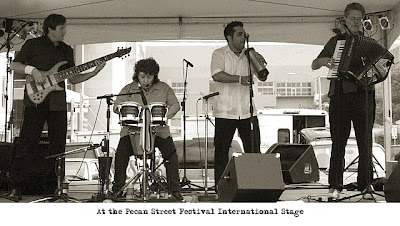 The Austin band Cerronato plays an authentic version of Colombian vallenato and cumbia. Virtuoso accordionist and group leader Mike Maddux discovered the raw and intimate energy of the vallenato style, and incorporated it into his mix of Latin music. The band merges ornate melodies from the accordion with rumbling bass lines, the syncopation of the scraper, and the beat of the drums, punctuated by poignant four-part harmonies to create a captivating sound. Longhorn Street Cafe will serve choice of 12 oz. rib-eye charbroiled to order, beef or chicken fajitas, or carne guisada. Sides will consist of tortillas, rice, and ranchero beans, plus dessert – all for $9. Tea, sodas, beer, wine and water for sale on the grounds. Entrance on Milam Street. Free parking. Bring lawn chairs. All concerts take place on Saturdays, 6 – 10 p.m. Gates open and food is served beginning at 5 p.m. Admission is $12. Students high school age and younger are free. Next year marks the 10th Season. Watch for announcement of musical lineup and special surprises. “Bless Your Heart” Joins the Service 30 Year of Oktoberfest!